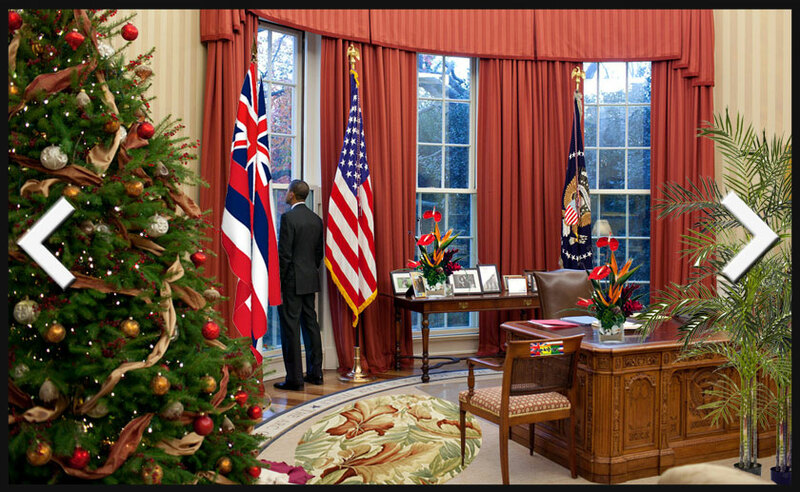 In keeping with the President's vision to make the Obama Administration as accessible as possible, each year the White House invited the American People to sit back, relax, and follow along on President Obama's annual Hawaii Vacation. After arriving in Honolulu, President Obama hops into his motorcade and heads over the Ko'olau Mountains toward the Windward side of Oahu to his vacation home in Kailua. Follow along as the President hits the beach, dines at local restaurants and plays a little golf over the holiday season. 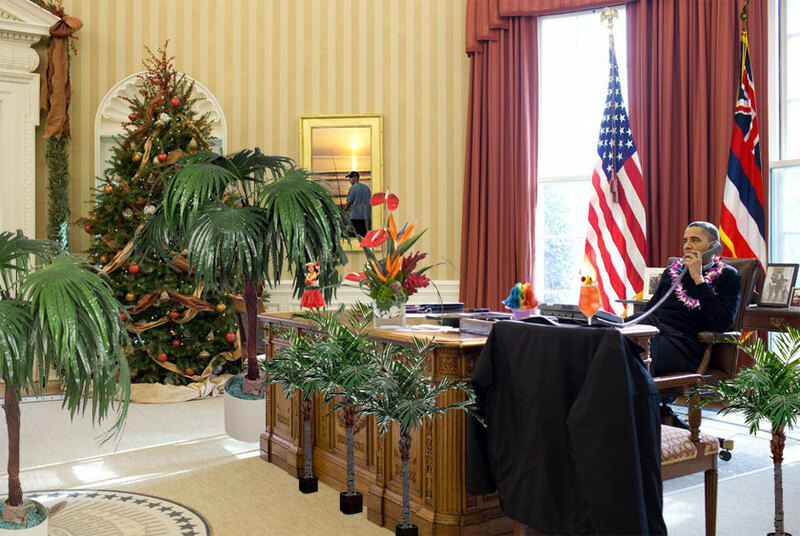 In the spirit of openness and transparency, the President's Hawaii vacation was live-tweeted. You are invited to follow along on Twitter. President Obama returned to his favorite Kailua Beach neighborhood. Take a stroll through the 5-bedroom Asian style oceanfront estate which includes an oversized pool, spa, steam room, tropical garden and koi pond. 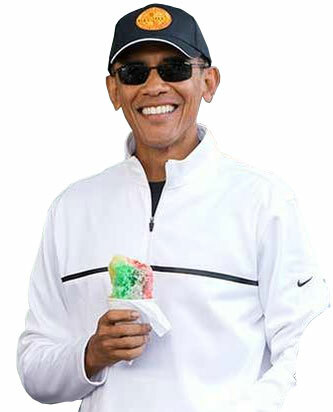 The "Obama Hawaii Vacation Bobblehead" comes in five fun styles: Snowbama; Surfing Obama; Ukulele Obama; Shaka Obama; and the most popular: Golfing Obama. Buy it now. Nope, this is not the official website of The White House. It's a parody of whitehouse.gov. No person, department, or agency of the U.S. Government approved, endorsed, or authorized this site.